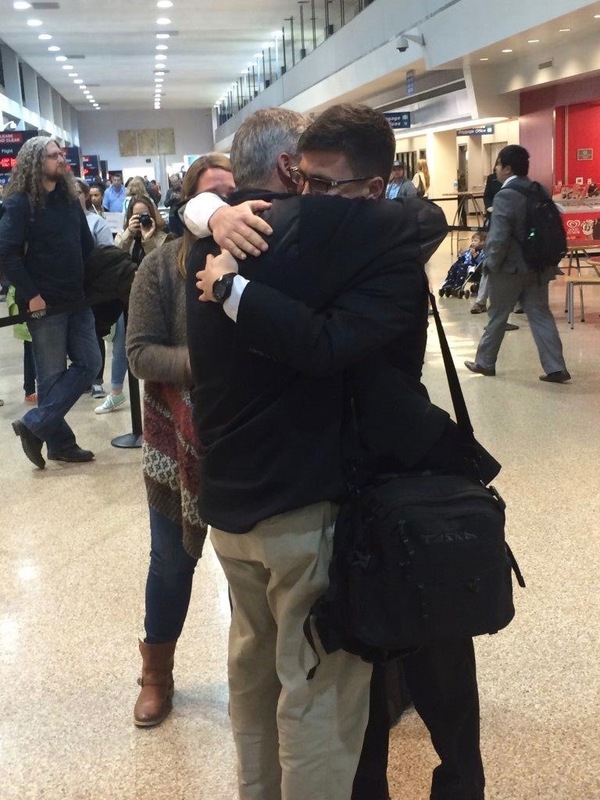 Two amazing, challenging, wonderful years in Italy and he finally comes home! We were so excited to see him and grateful for his safe return. 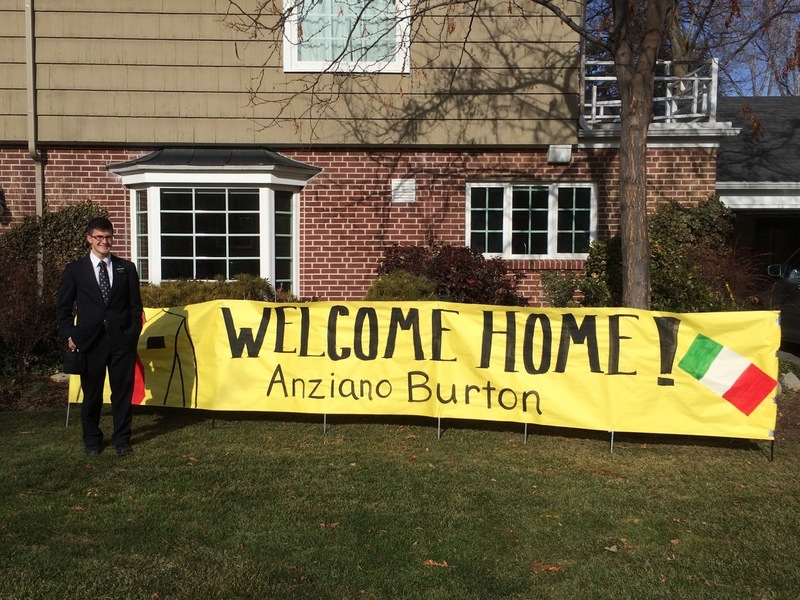 WELCOME HOME ANZIANO BURTON! Well done thou good and faithful servant! Well done! The Brothers in the Big Apple! Oh yea, just chillin in NYC! It has been a fantastic Pday here in New York! 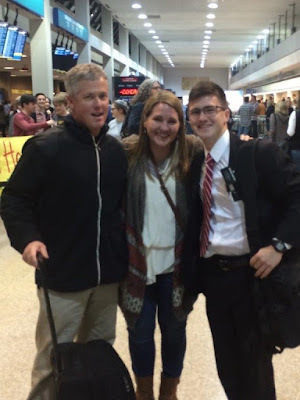 Sam's mission president made our day yesterday when he and his wife sent us pictures from the JFK, when picking up Ben. Today, there was not a formal email from Sam, just fun pictures that kept showing up during the day. It may be the best p-day he ever had! Here are the pictures and the few word Sam's mission president wrote as well as a few words from Sam. It might take a couple emails to send them. What an incredible experience for them both! 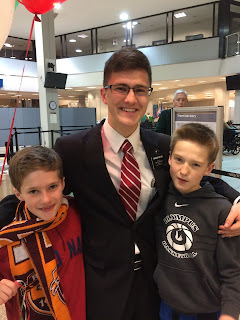 "Good Morning Sister Burton - You've probably already seen a few pictures of Elder Burton's arrival to New York but I figured several more wouldn't be refused. It was great to see your sons together and listen to them talk about their service and offerings in the Work of Salvation! people. I love the Italians. They are so much fun and sooooo Italian. food of Italy. That has been a nice bonus of serving here. because right now I can only see glimpses of it. He loves us so much. people of Italy. I am grateful that He sent me to serve these people. makes everyone of us stronger and better. can be free and have peace. I love my savior and I know that He lives. testimony of knowing that He lives is beautiful. It means so much. all live again, and we can live more fully in the present. all. Life is good and we are blessed! Well, it has been a good week! A nice start to the year of 2015! In case any of you are wondering, I am still living in Italy. Life in Italy is going well and I am enjoying it thoroughly! It is crazy, as time is ticking ever closer to me getting onto that plane I feel an increased push to work harder and harder. It is good. This week still being the holidays, it has been really hard to meet with anyone. Apparently the holiday season here ends on the 6th of January after some celebration about a witch named the Befana. Kind of strange, but cool all the same. This week we were able to meet with A* and we unfortunately had to move her date back again because our Branch President wants her to come to Church 3 times in a row before her baptism. So, right now, it seems to be set for the 24th of January. I won't be here for her baptism or S*'s, but it will be cool just hearing about them and stuff after the fact. 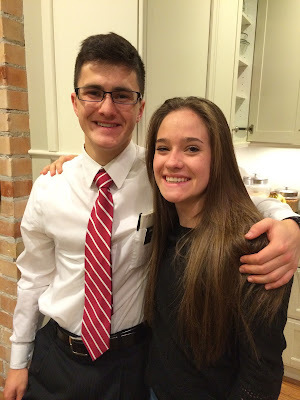 We were able to teach A* this week and we taught her about the atonement and being purified from our sins. It was a cool lesson and it went really well! She seems really ready to keep going and stuff and she understands and is ok with the date being moved back and stuff. She knows that she needs to be ready for baptism and be ready to make this her new life. It is good. I think that she and S* will be very good new converts for the Church here in Gela! This week while doing finding on the street we were able to get a pretty good amount of numbers on the street but all of them told us to contact them after the holidays haha, so we will be doing that later this week. Hopefully we will get a new investigator out of it. It would be awesome! Yesterday in church we had A* come again with her husband and their daughter. The husband doesn't seem very interested, but we will see if he takes the lessons in time. 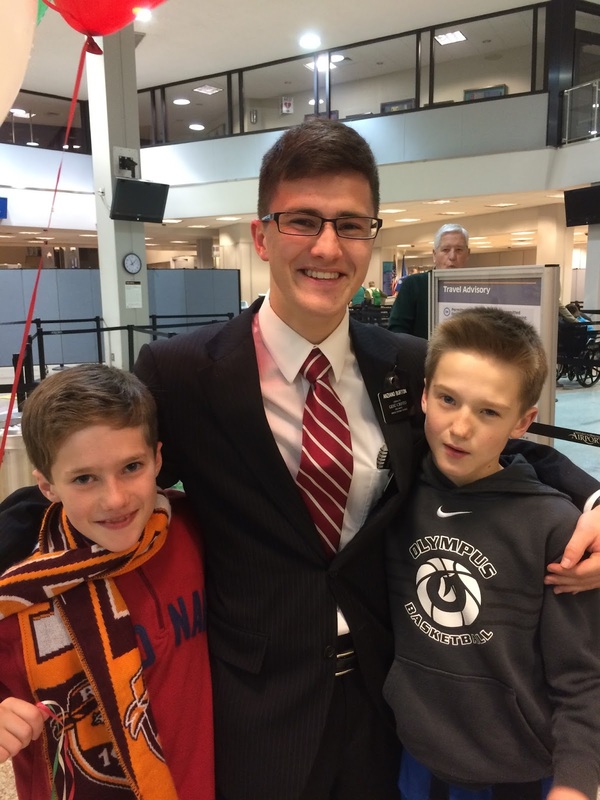 It would be pretty cool to see them all get baptized in the future! A family in the church! That would help Gela a ton! Well, it is crazy, time is flying too fast. I don't even know what to think. The closer the end comes the more I already am starting to miss Italy. It is strange. It is going to be sad. I am trying to live it up as much as I can while I am here. This week I made a new year's resolution to read a little bit of the Book of Mormon every day and so far it has been going really well. As I have actively been reading from it every day I have felt really happy and it has been such a blessing to every day. I am grateful for that book, it is incredible and I love it so much! It offers help in so many ways and you can't even explain how it does it, it just does it. I have felt closer to the Spirit as I set aside time to study from it. It is one of the things pushing me and helping me finish strong. When you get tired you start to see where the real sources of energy are and you see what is actually strengthening you. It is funny because a lot of times we think that we are pushing ahead so well on our own and that we are making such great progress, when we get tired and wonder how we can go on and finish we realize that it isn't really our strength that we are using to finish, it is something much greater with a lot more power behind it. I am grateful for the help I am being given to finish strong here in Italy. It is great! On new years eve I had the wonderful opportunity of going out to some small Sicilian towns to find some less actives with Anziano Stephens from Ragusa. It was incredible driving through the countryside here and seeing all of the little towns and stuff. That was a great experience and we were able to find of some the Ragusa less actives. That was one of the highlights of my week. Modica is a beautiful city!!! We stayed the night new years eve in Ragusa and then went back to Gela the next morning. I like Sicilia, it is a cool place! Well, next week will probably be my last email at least from Italy. I will probably send one from New York when I am with Sam, so that will be pretty cool! I hope all is well at home! I love you all! Well, it has been a great week! Since I wrote last things have been going well! We had an awesome time during Christmas and everything and it all went well! It was sweet! So, just some updates for the work, S* has a baptismal date for the 24th of January now and A* is still going strong for the 10th. This week because of the holidays, we have only been able to see S* and we were able to teach him the Word of Wisdom, which he is ok following. 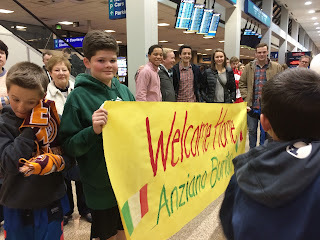 That is new for an Italian, usually they have some problems with Coffee and Alcohol and Tobacco, so that is pretty sweet that he is already following that. He just is going to cut the tiny bit of coffee he drinks and he is set. He is a good guy. 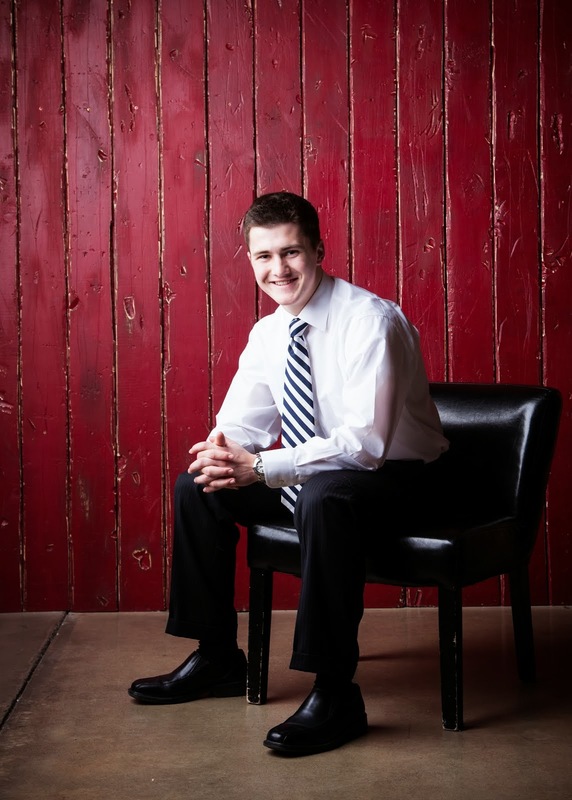 This week we have been trying to set up a date for the baptismal interview for A*a. Things seem to be coming together though. So, yesterday we had some interesting things happen. There was a crazy wind storm that hit on Saturday night and lasted until Sunday evening. I was woken up by one of the doors in our apartment banging open and closed because of the wind. It was some pretty insane wind for Gela. So, on Sunday, because of the storm... Nobody came to Church. Well, that isn't actually true. A High Counsilor and his wife drove from Catania and came. Strange how they could make it from Catania in the storm and no one else closer could come... Well, we kept apologizing to the High Counsilor and he kept saying, it isn't your fault... Kind of funny. We ended up having a tiny sacrament meeting only. We blessed and passed the sacrament and then the High Counsilor bore his testimony and Anziano Lazarte and I bore our testimonies. That was pretty fun. 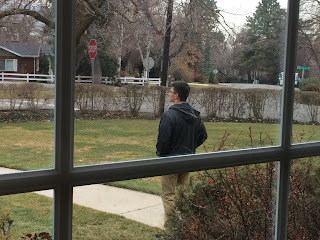 Then we headed back out into the wind to do some finding on the street. Also, yesterday I was reading some random verse in the Bible in a letter from Paul. He said something like you are drinking too much water, you need to drink wine. Well, lately, I have been drinking a lot of water, so this verse hit me. So today I bought some juice haha (the closest substitute for wine) and I drank that. That was a random thing that happened this week. Well, everything else has been going well here in Gela. It still smells kind of funny, but it is alright here! I am enjoying being here! It is crazy, there isn't a whole lot of time left... We are trying to finish strong in all that we are doing here and I think these last three weeks we will see some great things! It will be awesome! This week will be cool with Capodanno and everything. We will probably here some bombs and fireworks go off, so that will be fun and exciting! Well, that is all I have to write this week! This next week will be great! Family, I loved skyping you!!! That was the high light of my week! Also, thanks for the Rootbeer and Chocolate! I loved it! It is a good way to end drinking sodas haha! Thanks for everything!!! Pics, The wind on the Sea, some pretty big waves for Gela. Me and the wind on the Sea. Me and the Gesso (Chalk) drawing we made in Enna for finding during the Zone Blitz in Enna. Well, Gela is covered in Christmas decorations so that is pretty stinking cool!Life here is going well and I am happy! The work in Gela is really going well and Anziano Lazarte and I feel like things are really beginning to take off and that the Spirit is guiding us in the right direction. It is really good and I am really happy. As for the baptismal date A* had, we moved it to the 10th of January because she hasn't been reading the Book of Mormon. We felt like a little wait would prove a stronger member in the future and we feel that it will help her prepare for this special experience. She had some good deep questions when we met with her on Saturday. She seems very set on baptism and we are very happy with that. 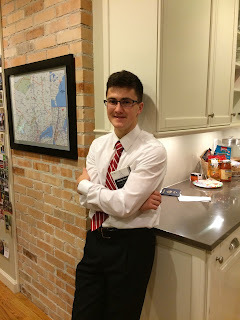 We were able to bear testimony about how the Book of Mormon is important and why we need to have personal testimonies about it in order to truly have a strong base about the Restoration of the Gospel. It was great! I think she understood the concept well and we committed her to reading and praying more. She is a good lady. We weren't able to meet with S* this week unfortunately, but he is doing well from what we have heard of him. As for Ao* we tried to go back to visit him earlier this week and his wife kind of told us that they weren't interested. So, that is too bad. But it was nice while it lasted. This week in Church we got a less active lady to come back!!! That was awesome! Her name is Sorella Tabbi and she has been going through some rough times in her life. She seemed very happy to be in Church on Sunday. That was great! We had a lot of Less active lessons this week and it has been good! I think we will see some good progress with members returning soon. This week we went and visited a member named Salvatore, he is our Branch Mission Leader, and we helped him decorate his Christmas tree! I took some photos and it was fun! I think with him the work will go better here. He is the one who came with us to visit the less actives and also helped us teach A*. It was really good! of it. It has shaped my life much more than I actually thought it would. 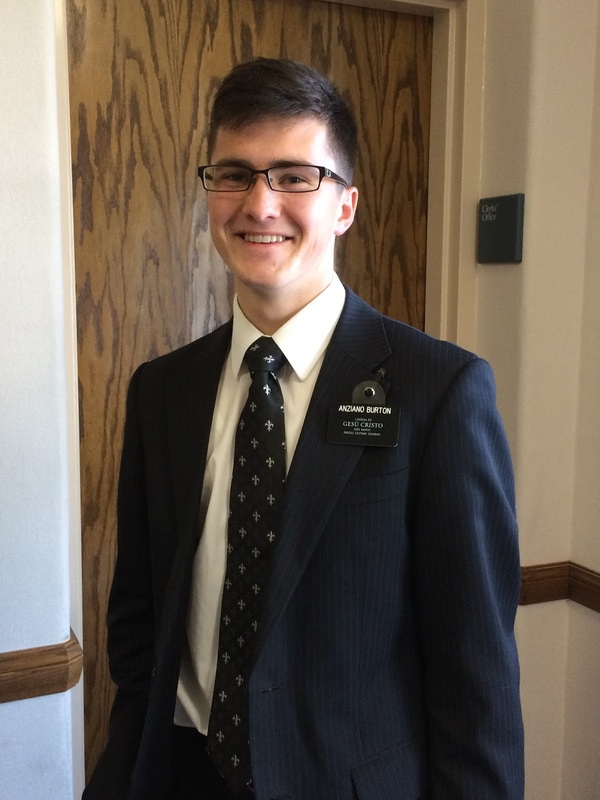 I am grateful for this beautiful time that I have to invite others to come unto Christ. It is an incredible thing and an amazing opportunity for me to offer people the chance to taste truth. God is good, He loves us soooooo much and He has given us everything we need. All of the knowledge, help, guidance, and strength we need is right at our fingertips. He is there and it is something that I have seen repeatedly in my life and especially on the mission. He has helped guide me to understanding Him better and by doing this I understand better who all the people around me are, sons and daughters of the Most High God. This mission has been a huge growing experience for me. It is still hard for me to look back and see exactly how I have grown, but I generally feel it. I feel a difference and I feel better. That is what God does to us. When we obey and when we strive our best he gives us His peace, and it makes us feel better. It makes us feel the joy in this life and gives us the glimpse of the eternal joy and power each and every one of us can experience in the future. God is good and I am grateful for that simple but powerful fact. It is all true. I love it! Well, this week we have been really trying to bare testimony more often and it has been good! 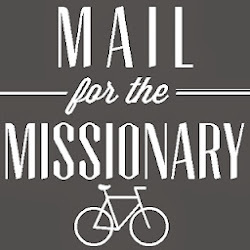 I think that this week we have done a lot more bearing of testimony and we feel better as missionaries. It is really good. Anziano Lazarte is a funny guy, I like being with him. It will be a great final transfer! Italia is awesome, kind of hard, but awesome! I hope that everything is going well at home! The Christmas Tree looks awesome family! Good job Mom and Twinners! Love you all! I can't wait to skype you coming up soon! Want to know when we post a new letter? Enter your email and we'll notify you!